Our leading ladies and item girls will be nowhere near half as attractive without the talented singers that voice their musical numbers. What’s more, while our cinematic experiences with our on-screen goddesses have a time limit, our playback goddesses are always with us in iPods, tablets, computers, radios and more. This year Bollyspice salutes the 10 female playback singers who astounded us with their vocals throughout the year. Ms, Bhasin (of ‘Viva!’ and ‘Kuch Khaas’ (Fashion) fame) epitomised the image of a Punjabi rock chick and commanded a nation to rock and roll with her in ‘Dhunki’ (Mere Brother Ki Dulhan).While Katrina Kaif may/may not have done justice to her vocalisations, Neha sure did make a place for herself in our hearts and on this list. 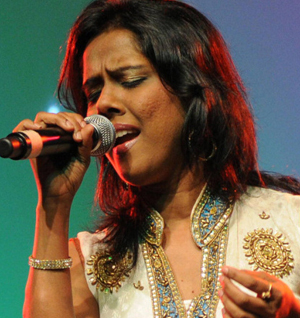 Ms. Srikar successfully vocalised a classical indian/rock fusion with ‘Bhare Naina’ (Ra.One) this year and proved that classical singers have just as much style and appeal as the mainstream singers. Her emotionally charged rendition was a pleasure to listen to and beautifully narrated the sombre portion of the film. Here’s hoping we hear more of her in 2012. What to say about this living legend? She has made a sudden comeback with ‘Darling’ (7 Khoon Maaf) and ‘Yeh Hai Maya’ (Don 2) this year and music enthusiasts cannot be more overjoyed. Her elegant and powerful vocals make for a delightful listen. Ms. Kaur, Sufi Ki Sultana and winner of Junoon reminded the doubtful why she was victorious in the aforementioned televised competitions. ‘Katiya Karoon’ from Rockstarwas hugely applauded despite being tucked away in male-orientated album thanks to Harshdeep’s immaculate rendition. She was also briefly heard in ‘Jhak Maar Ke’ (Desi Boyz) with Neeraj Shridhar which may not have been that elegant but Harshdeep stood out in any case and made her way into our list. Ms. Iyer’s vocals never seem to resonate in Hindi films as much as they deserve. However, this year she voiced the extremely popular ‘Laung Da Lashkara’ and ‘Rola Pe Gaya’ from Patiala House that got a lot of applause. She hit those flirty Punjabi nuances on the spot and complimented her duet partners well. In doing so she sealed her fate as one of our top 10 singers for 2011. 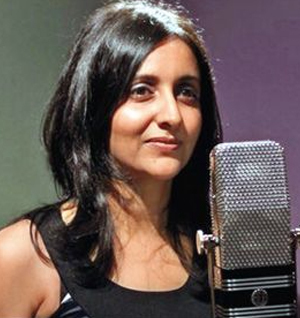 Ms. Sharma possibly voiced the most coolest songs of the year, namely ‘Choomantar’ (Mere Brother Ki Dulhan), ‘Dheon Dheon’ (Mujhse Fraandship Karoge), amongst others (‘Aali Re’ and ‘Dilli’ from No One Killed Jessica and Luv Ka The End’s title track). 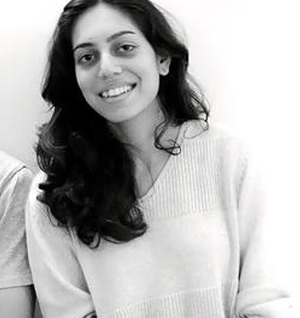 Youthful to a fault (there is a definite danger of being typecast) and infectiously trendy, Aditi is undoubtedly one of the rising stars of 2011. Ms. Mendonsa took airwaves by storm with ‘Khawbon Ke Parindey’ (Zindagi Na Milengi Dobara) in what seemed like minutes away from her debut in ‘Uff! Teri Ada’ (Karthik Calling Karthik). Daughter of Loy Mendonsa (of Shankar-Eshaan-Loy), Alyssa’s unearthly and angelic vocals set her apart from the current crop of female singers sealing her as a voice to watch/hear out for in the years to come. Anushka Manchanda set the airwaves on fire with the sultry delivery of “Aaj mere liye chair keech raha hai, kal meri skirt keechega” from the reformatted ‘Dum Maaro Dum’ (titled ‘Mit Jaaye Gham’). As if that line wasn’t enough to get listeners’ blood flowing she followed it by screaming “Ooche se occha banda, potty pe baythe nanga, phir kahike society, saali kaheka pakhanda‘. She delivered two very contradictory sentences with ease, oomph and confidence that many of her peers would not have been able manage and this is why Anushka Machanda is/will be irreplaceable! For those with a keener ear for music check out Ms. Manchanda’s other song from this year, ‘Piya Kesariyo’ from Hum Tum Shabana which was also a scorcher. Ms. Ghosal is what Lata Mangeshkar was before Alka Yagnik and Kavita Krishnamurti took the centre stage in 90s and now she has essentially replaced the aforementioned ladies in the current era. Shreya had a super 2011 with undeniable hits like ‘Saathiya’ (Singham), ‘Saibo’ (Shor In The City), ‘Teri Meri’ (Bodyguard), ‘Rab Rakha’ (Love Breakups Zindagi) and ‘Accha Lagta Hai’ (Arakshan). She also showcased her classical achievements with ‘Saans Albeli’ (Aarakshan) and gave listeners a hint of what’s to come in 2012 with ‘Chikni Chameli’ (Agneepath). Naturally, Ghoshal is still going strong since the glorious moment we heard her voice Paro for Bansali’s Devdas in 2002. Not a lot of female singers have achieved and/or possess what Ms. Chauhan does, that is, the uncanny ability to sing any song with a precision and conviction that knows no bounds. 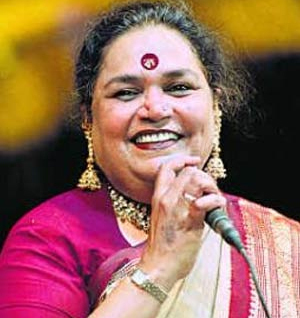 Til date only the likes of Asha Bhosle have pulled it off. However, since her breakthrough performance in Ram Gopal Verma’s Mast, Sunidhi has been slowly attempting and undoubtedly conquering all genres of Indian music. This year when she wasn’t getting us hot under our collars with ‘Shake It Saiyan’ (Rascals), ‘Chandigardh Ki Star (Buddha Hoga Tera Baap) and ‘Aa Zara’ (Murder 2) she was vocalising musical gold with ‘Tu’ (My Friend Pinto), ‘Thoda Sa Pyaar’ (Kuch Luv Jaisa), ‘Te Amo’ (Dum Maaro Dum) and ‘Sufiaana’ (The Dirty Picture). So, whether, it be a romantic duet, a sober sufi, a scorching item number, an adrenalised dance track or a situational number, Ms Chauhan has you covered! Ritu Pathak, for picking up the slack in the wake of Sheila and Munni with ‘Razia’ (Thank You) and ‘Jalebi Bai’ (Double Dhamaal). Hamsika Iyer, for making the Hindi audiences go crazy for that brief rendition of Tamil lyrics in ‘Chammak Challo’, which was later discovered to be incorrectly written. 17 queries in 0.405 seconds.